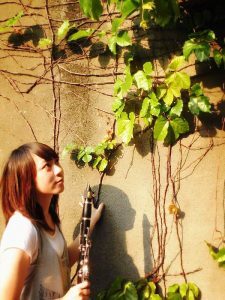 Elsie was born in Taiwan; she started to learn piano from age 4 in YAMAHA music center in Taiwan. Before she came to Australia she completed her Bachelor of music (performance) in National Dong Hwa University and she is currently doing her graduate diploma of music performance at Sydney Conservatorium of Music. 2008 first prize in National Student Music Competition in East of Taiwan.